In Febuary, we finished updating the kitchen in our victiorian farm house. With the help of a gallon of primer and white paint, we transformed if from dark and dated to bright and fresh. 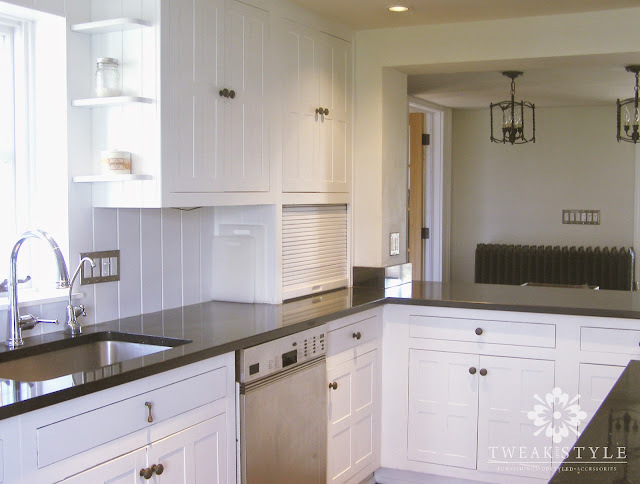 For this project, I knew I wanted the look of a traditional country white kitchen. Now starting out, I wanted to use chalk paint. you see I am a chalk paint fan. A big chalk paint fan. I use it almost exclusively for my furniture. But, I knew I had to be sure that chalk paint would be the best choice for me. As much as I love it, would it be cost effective, easy and durable? After a lot of online research, I decided against chalk paint. 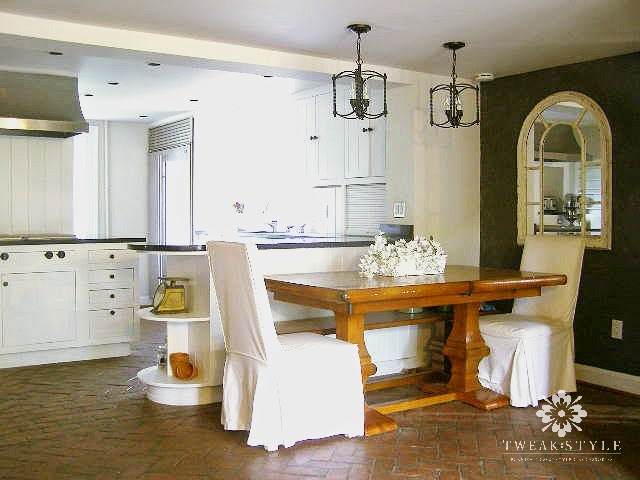 Now if want chalk paint in your kitchen, go for it! 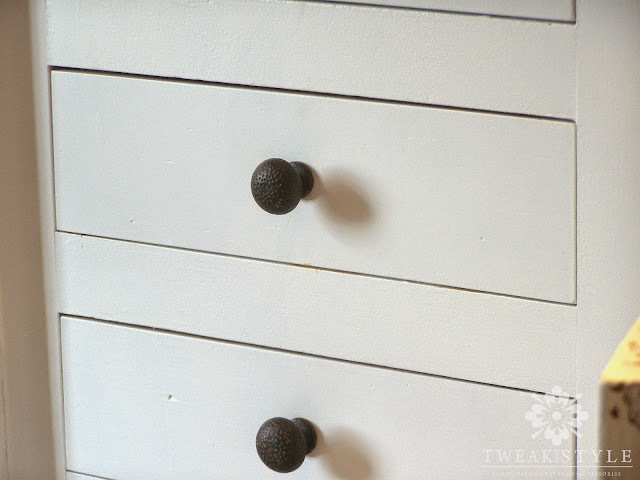 I actually followed up with a friend who painted her cabinets with chalk paint a year ago to see how they have held up. She said she just used wax and they have held up great. For my project, it just wasn't the best choice for me. I used STIX from INSL-X. Benjamin Moore does offer an ADVANCE primer too, but I used this as it was highly recommended by our contractor. I loved it. Now don’t skip this step. Not on kitchen cabinets. Don't let anyone tell you different. No matter which paint you go with, oil, acrylic, or chalk kitchen cabinets are used and abused so you want to ensure that paint adheres well. Use white for white cabinets or have it tinted as close as you can to the color you choose. This step will also help you get better coverage and use less paint which means less money. I used Benjamin Moore ADVANCE alkyd paint. 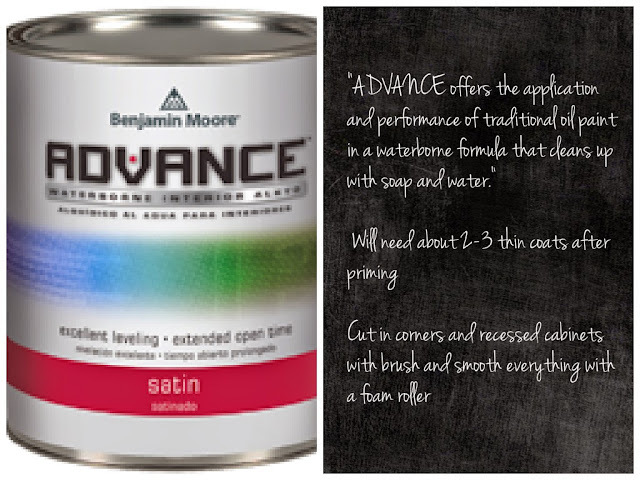 After a lot of internet research and recommendation from painters, I went with Advance paint. Thin and creamy it went on smoothly, self leveled and best of all, it required no top coat. I have easily wiped away spills, even dried on food, since painting my cabinets. Also, if I ever have nicks, I can pop open a can and touch up without worrying about a difference in sheen from a topcoat. You still need to prime in kitchen..I recommend using primer no matter what so even with chalk there is that extra step. Your must use a top coat with chalk paint. That costs money and time. 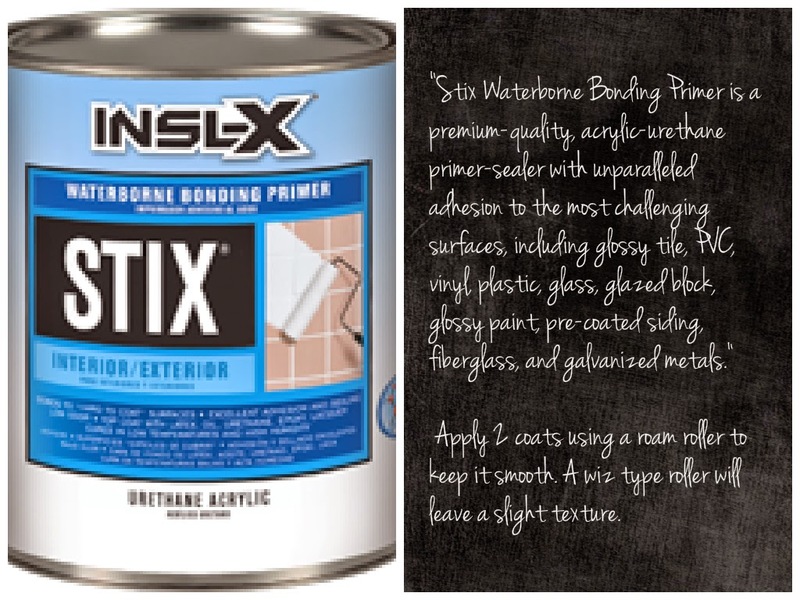 You would need two coats to ensure coverage and you have to worry about drips. Now that you have it top coated, if you ever have nicks you need to paint and topcoat again. To show you how the primer and paint will look. Here is after just one coat of primer. I did two coats on everything so my white paint would cover easily. Then, using a brush and roller, I applied two coats of paint. 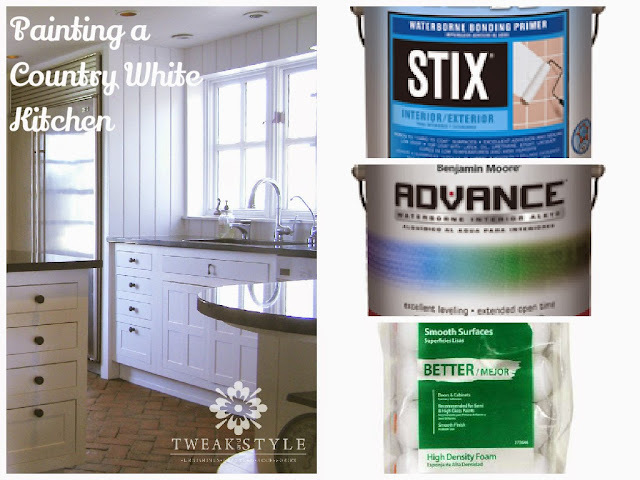 Thank you for the recommendations, I will save this post for when I tackle my cabinets. I am very happy to read such a wonderful blog which gives the helpful information. 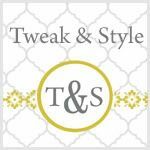 Just found your site and I love it! and I would like to thank you for the efforts you have made in writing this article. I am hoping the same best work from you in the future as well. This looks amazing! I love your blog on choosing the best paint that will transform these cabinets. Thanks for posting this one. Keep blogging.